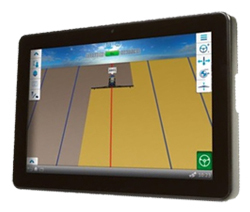 The Trimble XCN-2050 display is an advanced, in-cab, multi-touch screen display, built on the Android™ operating system. The intuitive interface makes it easy for both beginning and advanced users to implement precision agriculture solutions. For more information about the Trimble XCN-2050 aftermarket display, call our Ag Technologies location (1268 E 100 S Rochester, IN 46975) at 574-223-2714.